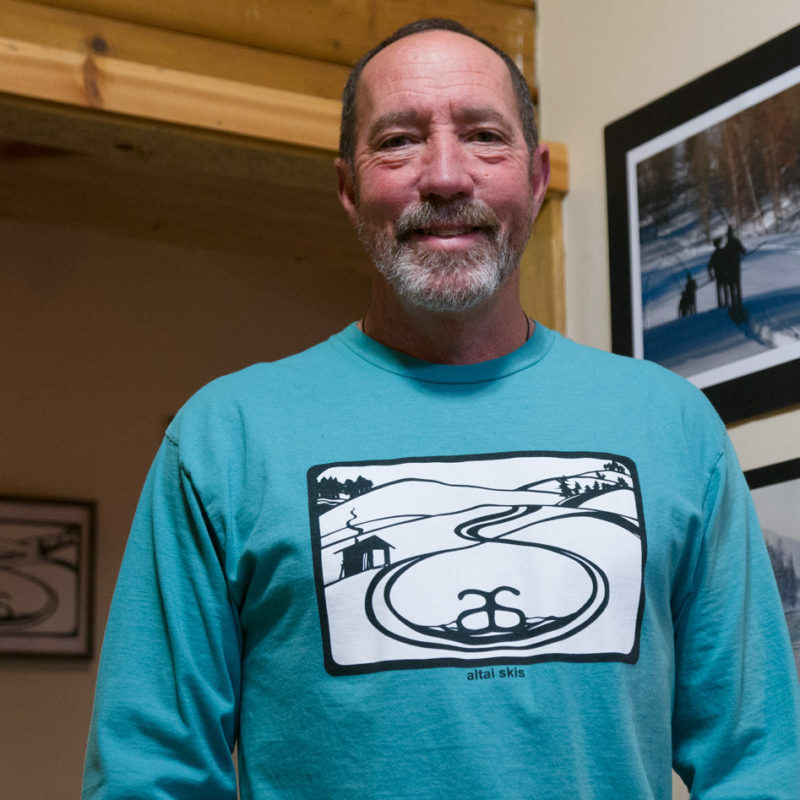 Our Long Sleeve T Shirt is also in charcoal or teal and is made from cotton, and comes in Sm. – XL. The art work is by Hannah Lou Viano, and is from a black and white paper cut design she did for us. You can see some of her other work here. 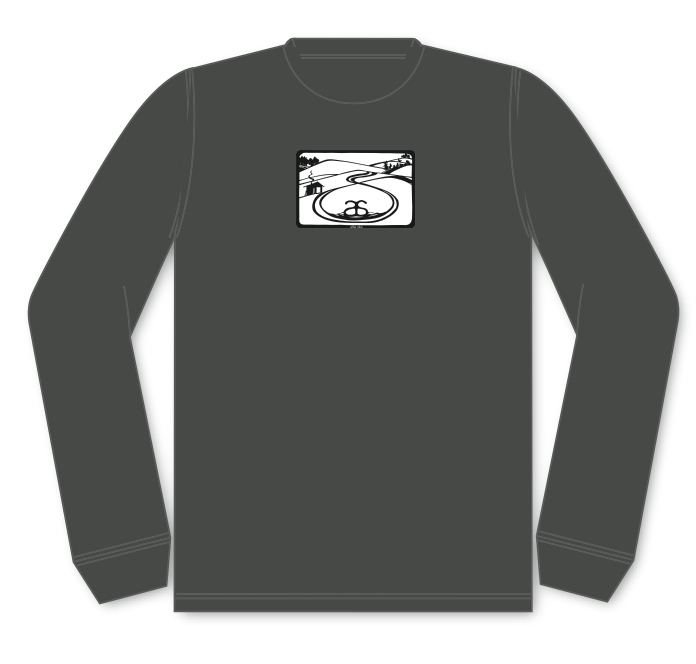 We have added a new shirt In December 2016 – Long sleeve, pigment dyed. I am calling the color ‘Glacial Blue’ as it reminds me of the color of glacial fed lakes like Kanas Lake in the Altai Mountains. Available in S, M, L, XL. Again the design by Hannah Viano – a friend and artist out of Twisp, WA. 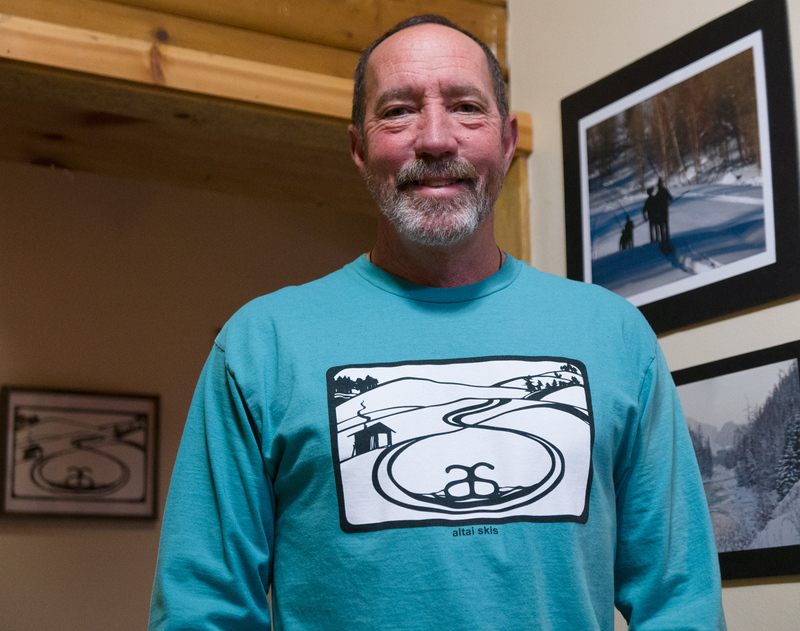 The original Long sleeve is charcoal and the print design is smaller on the front. Be the first to review “Unisex T-Shirt, Long Sleeve” Click here to cancel reply.